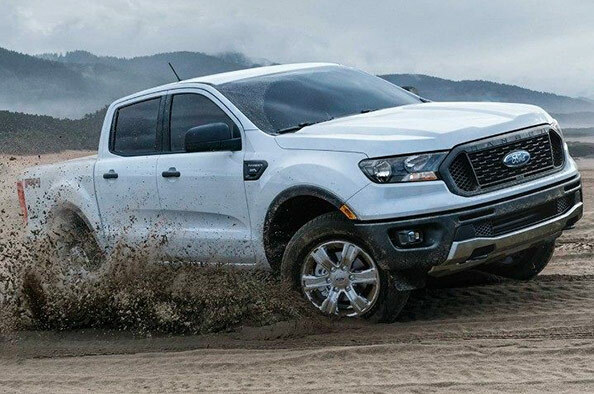 Sporty yet powerful and commanding, the 2019 Ford Ranger truck is as rugged and reliable as they come. If you want information on the 2019 Ford Ranger release date, Ford Ranger specs and how you can reserve your very own 2019 Ranger, stop by our Ford dealership near Worcester, MA. Whether you want to finance or lease the 2019 Ford Ranger, Herb Chambers Ford of Westborough is here to assist. The 2019 Ford Ranger offers Massachusetts drivers three available trims to choose from, including the Ford Ranger XL, XLT and LARIAT trims. A standard 2.3-liter EcoBoost® engine with Auto Start-Stop technology is paired with a class-exclusive 10-speed automatic transmission to make each ride smoother than the last. You can spring for available performance perks like Trail Control™, a Terrain Management System™ and electronic locking rear differential to help upgrade your time spent behind the wheel. If you’re looking for a new truck that offers incredible off-roading capabilities, think about upgrading to the optional FX4 Off-Road Package. 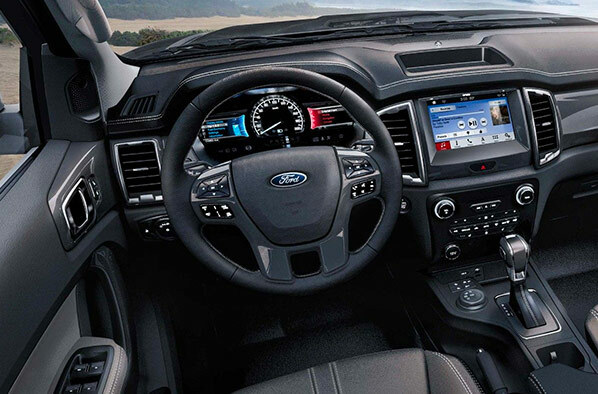 Open the door to the new Ford Ranger cabin and you’ll get to enjoy a variety of Ford interior features designed to keep you satisfied. Do you want a new Ford pickup that will allow you to stay connected to your friends and family no matter where you are? The FordPass™ Connect in-vehicle Wi-Fi® hotspot can support up to 10 devices. You can spring for additional driver-assistive features like Adaptive Cruise Control, a Lane-Keeping System and Pre-Collision Assist with Pedestrian Detection, which offer complete peace of mind on Worcester’s highways and byways. And should you decide to hitch up a trailer to your Ranger, know that an available Blind Spot Information System also offers class-exclusive trailer coverage to better monitor your surroundings. Stop by our Greater Worcester Ford dealer or contact Herb Chambers Ford of Westborough for updates on the 2019 Ford Ranger release date. Our Ford financing specialists will help pair you with a great Ford Ranger lease agreement or finance offering that best fits your budget and lifestyle.